The Women of the World Festival, (‘WOW’ or ‘Festival Mulheres do Mundo’) has already been held in 23 countries across Europe, Asia and Africa; this Rio de Janeiro edition, which is being held from November 16th-18th, will be the first to be held in South America. RIO DE JANEIRO, BRAZIL – This Friday, November 16th, the first ever South American Women of the World Festival (‘WOW’ or ‘Festival Mulheres do Mundo’) will be arriving at Rio’s Porto Maravilha area, where over 150 activities will be held, all free and open to the public. The festival is being curated and introduced by Jude Kelly CBE, who is the former Artistic Director of the Southbank Centre in London, photo internet reproduction. The event will be held at such iconic locations as Rio’s ‘Museu do Amanhã’ (Museum of Tomorrow), ‘MAR’ (Rio Museum of Art), and ‘Praça Mauá’ (Mauá Square) running until Sunday, November 18th. This edition of the festival, the first one to occur in South America, is being curated by Jude Kelly CBE, former Artistic Director of Southbank Centre, the UK’s largest cultural institution and Europe’s largest arts center. She is assembling women from all over the city, besides national and international guests, from areas such as business, the arts, and activism, to come together in a celebration of the diversity of the feminine experience. The event will be arranged into four different aspects. ‘Mulheres em diálogos’ (Women in Dialogue) will be holding seminars, conversations, and the sharing of experiences. ‘Mulheres das Artes e Culturas’ (Women, Art and Culture) will present several cultural and artistic displays and performances, as well as creative workshops. 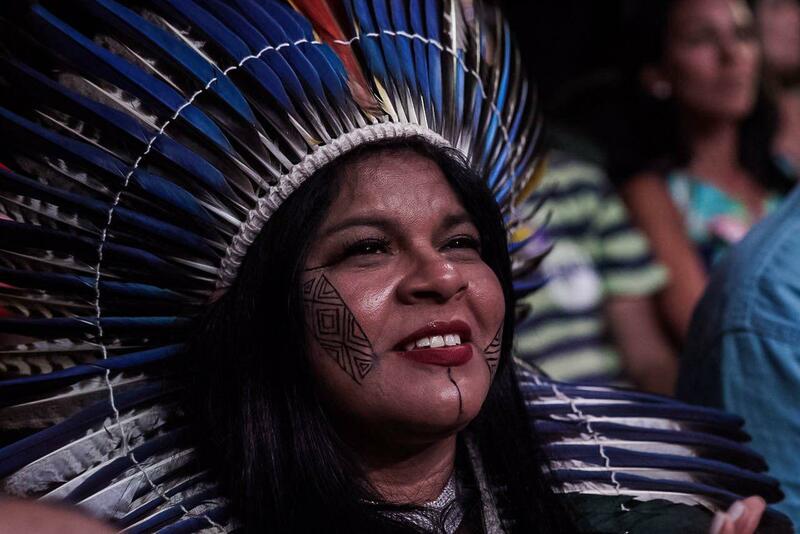 Among those participating in the festival will be Sonia Bone Guajajara, the leader of the indigenous peoples movement and the first indigenous person to be on the ticket of a presidential campaign in the history of the country, photo internet reproduction. In addition, ‘As Mulheres Empreendedoras’ (Women Entrepreneurs) will be dedicated to creative female-led innovations in the fields of gastronomy, technology, environment, fashion, beauty and health, among others. And finally, ‘Mulheres Ativistas’ (Women Activists) will hold plenty of activities centered around activism and campaigns by and for women in our current society. Organizers are expecting around thirty thousand people to attend the event in these three days, and they have confirmed over two-hundred international and national participants besides three great musical concerts per day, including contributions from Elza Soares, Dona Onete, Flora Matos, and Karol Conka. “While Rio’s MAR is lending its space to this festival, we are also opening our own free exhibition today, ‘Mulheres na Coleção MAR (Women in the MAR collection), in parallel with the festival.” Comments Roberta Campos, from Rio’s MAR. “It’s amazing that such an important event is happening in Rio right now, especially for promoting and valuing the work and music of women like Elza Soares and others.” adds Juliana Albuquerque, psychologist. The festival was originally launched by Jude Kelly CBE at London’s Southbank in 2011, on the 100th Anniversary of International Women’s Day. In 2016, she visited Redes da Maré (Networks of Maré) in Rio de Janeiro, to get to know the ‘Casa das Mulheres da Maré’ (House of Maré`s Women), a space dedicated to women’s political empowerment which promotes activities such as access to education, as well as free legal, social and psychological assistance. 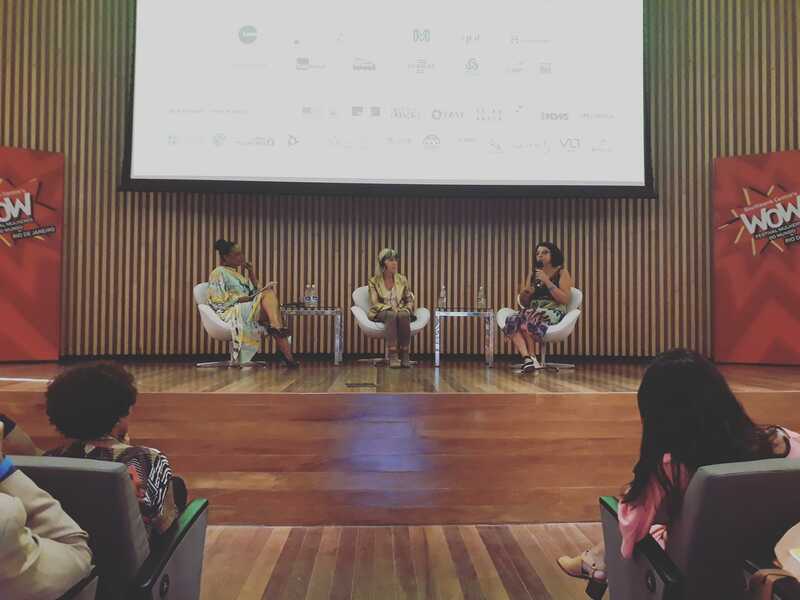 As a result of this meeting, Jude Kelly proposed to Redes da Maré the idea of holding a festival that would unite voices, experiences and ideas stemming from women living in Rio de Janeiro, while embracing their diversity.